The 2017 gold Jingle Ball™ depicts a carve-out shape of the Santa with Kissing Ball. 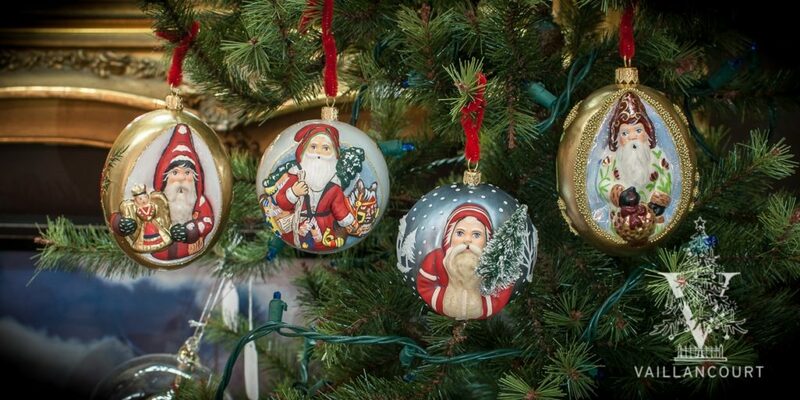 The Santa shows the same brocade pattern and luminous shimmer of the kissing ball. The blend between pearlized finish and matte gold shimmer, creates a beautiful piece for any tree. Like all of Vaillancourt’s Polish Glass Christmas ornaments, this piece has been mouth blown and hand painted.